We are extremely happy with the season which ended on November the 20th. 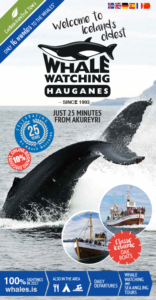 When it comes to whale watching, North Iceland is the place to go and Hauganes the place to be. We saw whales in 99.8% of our tours, always humpback whales (the most fun ones), but also minke whales, harbour porpoises and dolphins. 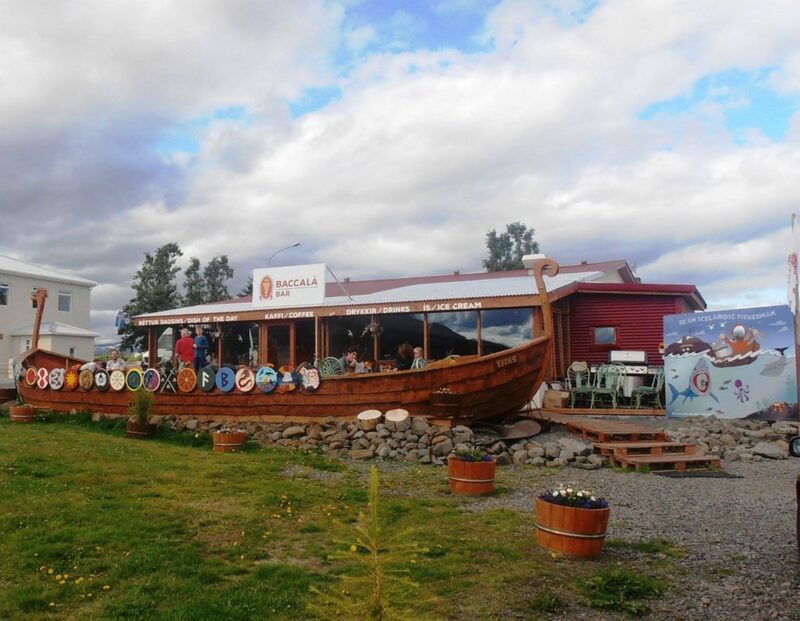 As we are just 25 minutes driving north from Akureyri and 40 minutes from Siglufjörður our village is in the prefect driving distance from any spot in the region. Through our carbon neutral plan we planted more than 500 trees this summer which means that if we fast forward a few decades from now we’ll see here a fully grown forrest thanks to our guests. Such a lovely feeling being able to enjoy watching whales and giving back to nature at the same time. The hot pots down by Sandvik beach really hit a home run this summer as they attracted numerous guests throughout the summer who were swimming here in the sea and relaxing in the pools and enjoying the beautiful view to the south. 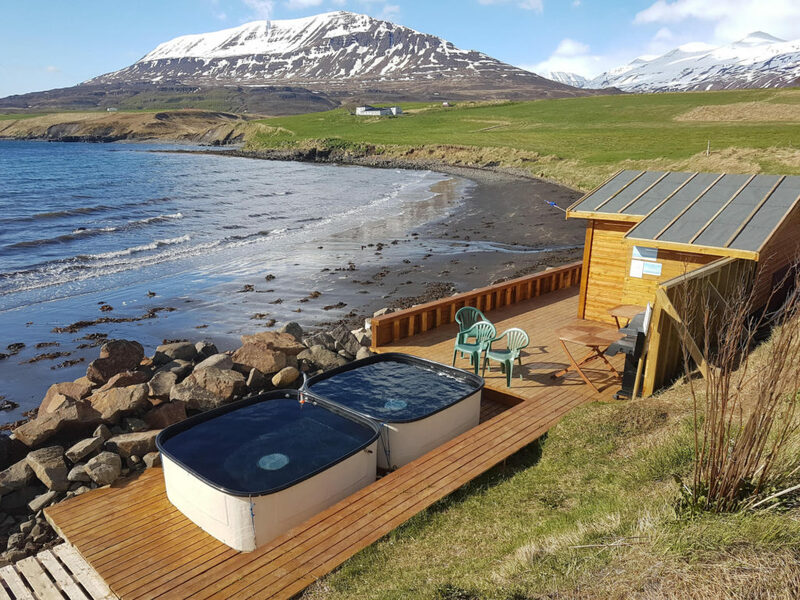 The amazing hot tubs at Sandvik beach, the only beach in North Iceland facing the south. Baccalá Bar Restaurant is the icing on the cake during your visit to Hauganes and it’s safe to say that Vicente, the Spanish cook at the restaurant, really knows how to cook the perfect baccala (salted cod) dish made from fish processed in Hauganes. Put that on your to-do list when you come for a visit to Hauganes! The perfect stop before or after your tour with us! Of course you will find a fully equipped camping here in Hauganes where you are just a stones throw away from our whale watching and Sandvik beach as well. 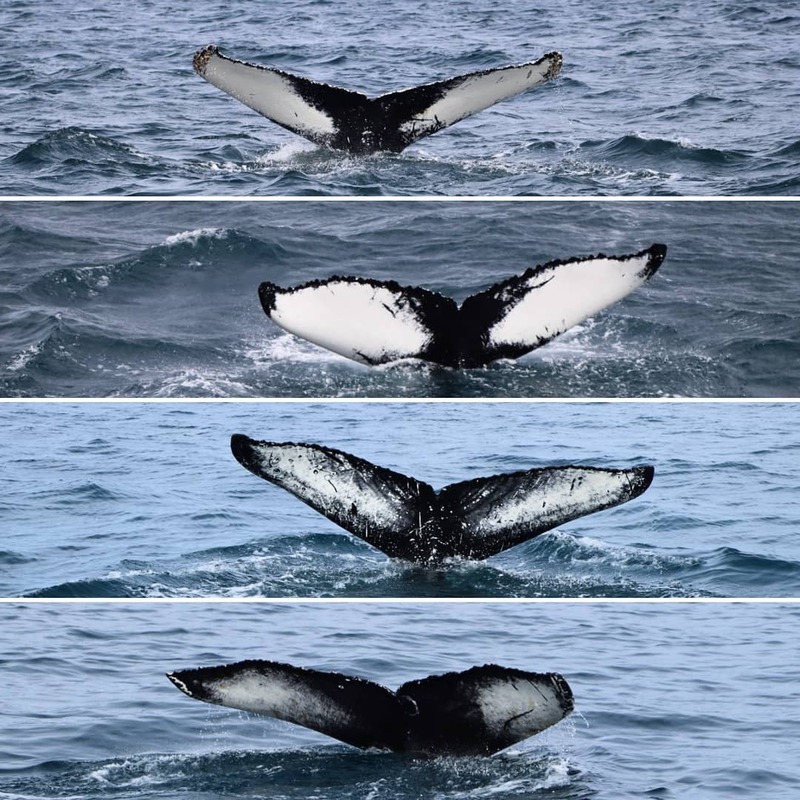 Thank you all for being with us this amazing season and hopefully we’ll get the opportunity to invite even more guests to see our lovely whales during the 2019 season which starts on May the 1st. 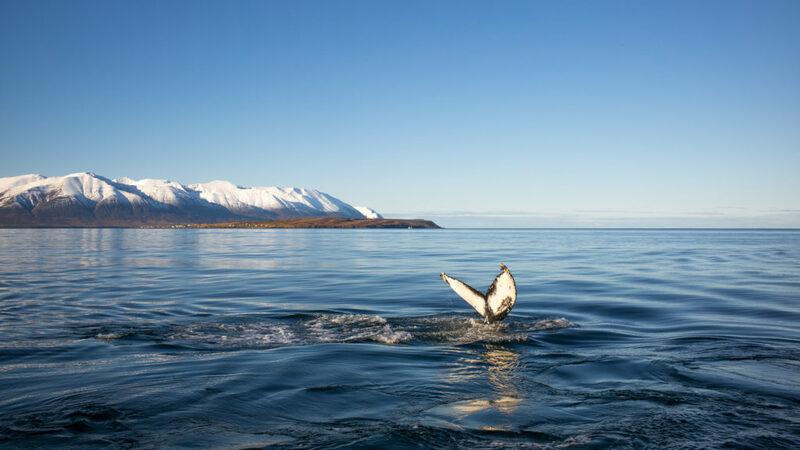 A beautiful humpback whale going for the deep dive close to hauganes. ← The 2018 season is over and what a season it was!